The PrimeLab photometer hand-held Bluetooth® device is expandable and portable, developed for ultimate flexibility for use in a range of water systems. The PrimeLab photometer is equipped with a Bluetooth® module and connects automatically with the user’s PC, in the same way as smartphones connect to a car kit. In addition, the PrimeLab photometer can be controlled by its own software, the ‘PrimeLab Desktop Assistant’. 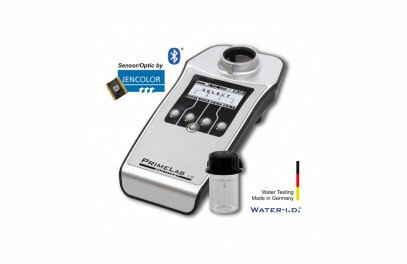 Fully supported by Water Treatment Products personnel to assure the effective use of PrimeLab 1.0 Multitest Photometer. to the reagents offered by the manufacturer. Use of reagents by other manufacturers may result in measurement errors! high-quality reagents “Made in Germany” and “Made in the UK”! View list of parameter and reagents for Primelab photometer.